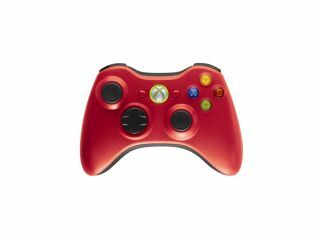 Microsoft followed a successful E3 2008 press conference yesterday by treating 360 gamers to two new, funkily-coloured red and green Xbox controller pads. Each pad is to be bundled with rechargeable batteries and the Play and Charge cable – so no more running out of batteries at that vital point in Halo 3 or Gears of War! The controllers will cost $64.99 in the US and be released at the end of September. No word yet on UK or European pricing or release, but expect that to follow pretty soon. You can read the full report from Microsoft's E3 press conference on TechRadar.